People relish adventure sports, and nowadays skiing is one of them. However, it is a weather-depending activity. Without any snow, skiing is not possible. Furthermore, especially if it’s your first time to go skiing, some preparation is needed. For me, skiing was a great experience. I now like wintersports more than any other kind of sports. As the writer of this article, I crave to state some pivotal points that you should take into consideration before skiing. There are lots of possibilities of ski rental that will encourage you to make big progress even in your first skiing lesson. You can take the advice of me as a passionate skier to increase your knowledge about skiing and ski rental. If you learn a new sport, you’ll probably struggle in the beginning. However, as soon as you know the basics, it will make more fun every single time you try. In the case of skiing, you’ll be able to enjoy the stunning mountain views as soon as you know how to carve. 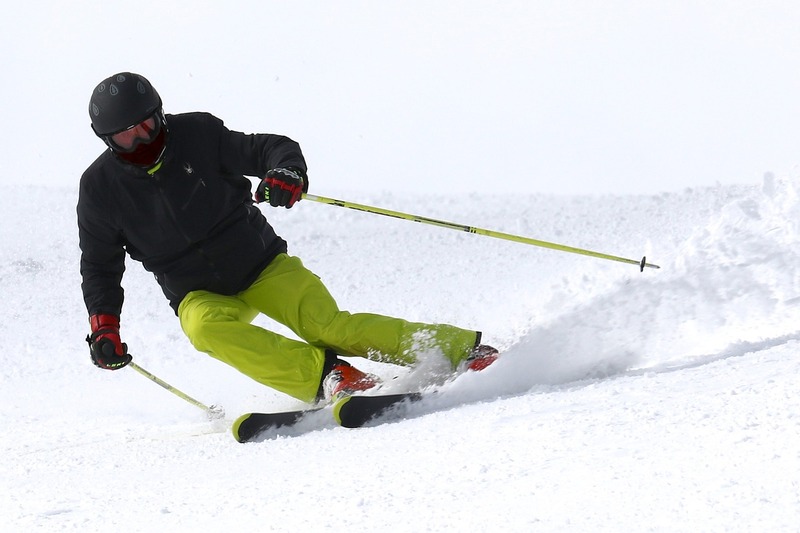 With our tricks we hope you’ll learn to ski faster and improve your performance. Balance is an essential aspect of skiing because you perform this sport in mountains and snow on the slopes is often slippery or icy. If your balance is not on point at the time of skiing, it can cause physical damage. Practice is key! Without the right preparation, you can’t do skiing because it is a highly professional sport and dangerous in the aspect of risk. In the present time, you can use the internet to get the necessary knowledge and you can try some YouTube or Facebook videos to get some first information. As soon as you know the basics theoretically, you are ready to start your first skiing lesson. You can also hire an instructor to get a proper understanding of the sport. I personally urge you get the right training and do appropriate practice of skiing. If you utilize this lesson, you will have much more fun in skiing right at the beginning. Remember the word “safety” – Skiing is different from traditional sports like football, cricket, and others. Also the environment you are performing the sports is dangerous. Remember to always stay on marked ski runs, especially if you are a beginner. As soon as you are able to ski at a professional level, you could try to go off-piste – but remember to only go there with an instructor! How does Ski Rental work? Before renting a pair of skis, you need to check the quality of the equipment. You can’t compromise with the quality of skis and therefore should only use reliable ski rental companies. Ski rentals with good reputation service their equipment regularly, so customers always get high quality skis. That is the second important factor when it comes to ski rental. You should choose a ski that is 25 to 35 cm shorter in height than your own height. As a beginner, you should rather use shorter skis as it’s easier to deal with them. The ski rental personnel will also help you with finding the perfect skis for your individual skills. This article provided some general information on skiing and ski rental. However, especially when it comes to safety, you should get further information before you start your first skiing lesson. Reliable information is usually provided on websites of skiing areas. Still, the best way to get informed is through a personal skiing instructor who knows the sport and the region.